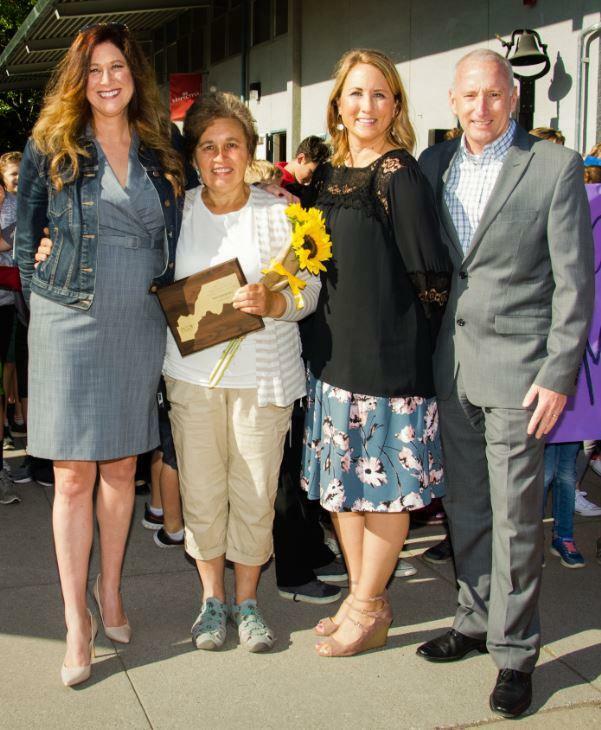 Penryn Elementary was surprised, when Placer County Superintendent, Gayle Garbolino-Mojica came to campus on Wednesday, May 23, with flowers in hand to congratulate Pola Kalchenko as Placer County Classified Employee of the year for the category of Maintenance, Operations and Facilities. Penryn was so excited to celebrate this award with Mrs. Kalchenko, she so deserved. The students and staff are extremely proud of her achievement and recognition! Mrs. Kalchenko has worked at Penryn for almost 15 years and is loved by everyone in the Penryn Community. 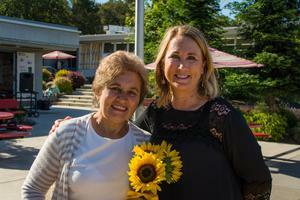 She is a custodian that takes the time to get to know the students and even their families. She knows the needs of students and gives some extra attention by taking time with them during lunch or recess. She is known for using her own money to treat students to popsicles at lunch! Mrs. Kalchenko is a leader on our campus with pride and the strong work ethic she displays. When you visit Penryn School the first person you usually see is Mrs. Kalchenko. She is often found in the Penryn gardens watching over the hundreds of flowers and plants or in the classrooms making them spotless for staff and students. She does all of this with a smile of pride and enthusiasm. 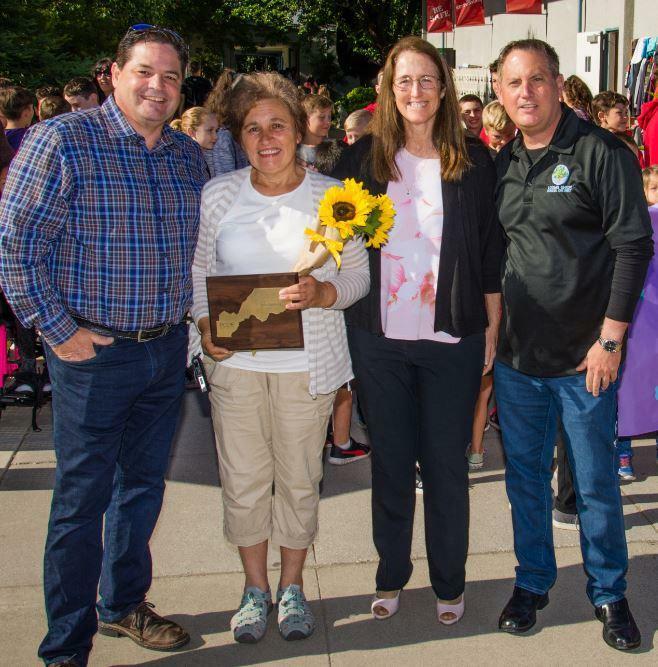 Penryn School and the Loomis Union School District appreciates all Mrs. Kalchenko does for the school, staff, students and the Penryn Community as a whole. We are so lucky to have someone like Pola Kalchenko at Penryn School. Congratulations to her for receiving this well-deserved award.